I am not one of those people who love to clean, so I try and make it fun. Yes, I said cleaning and fun in the same sentence. The first thing I do is put on some comfortable clothing, With all the bending and stretching you do while cleaning, you can at least be comfortable. Blast your music. There is nothing that gets me in the mood for cleaning than my favorite tunes blasting. Pick some high energy tunes and you will find yourself in the same rhythm. My son once told he heard the loud music when he pulled in the driveway, so he decided not to come in because he knew I was cleaning. I am pretty sure the reason he did not come in was in fear he would have to help! While you're bending and stretching, you might as well get some lunges and squats in, right? So, there is that exercise factor. Make this workout fun and get your house clean at the same time. That is the old cliche', killing two birds with one stone! To make cleaning fun,you have to have the right tools and products. A home that smells good is more than likely clean. I do not like most scents because the give me a headache, but you can use one of the scented candles with a light fragrance or one of the plug in warmers to fill your home with your favorite scent. After you have picked up the room and dusted, it is now time to vacuum. I used to dread vacuuming. I hated it! That is until I got this cool Shark vacuum! The Shark® IONFlex™ 2X DuoClean® Cordless Ultra-Light Vacuum is a phenomenal vacuum. It is cordless! And, it works like a dream. I love that I can walk over grab my Shark and begin to vacuum. No unwrapping the cord and plugging into an outlet! Just turn the power on and vacuum! And, when you are done, you do not have to wrap that cord back up, which always has been an issue in my house. 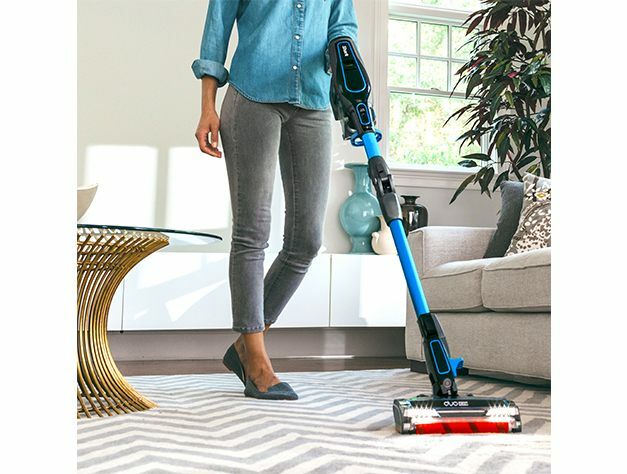 This Shark comes with TWO removable, rechargeable ION Power Pack lithium-ion batteries that allow you to vacuum with one while the other is charging. This is genius! What do you do to make cleaning fun? Thanks to Shark for providing me with this product!